The path to the beach was well worn in l971 when Byron Pickering made his home on the Oregon Coast. His easel became a permanent fixture in the corner of the living room. His understanding of surf action is the product of this time of observation, and is the mental resource from which he paints. 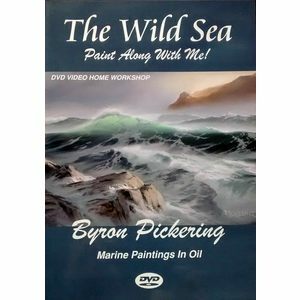 After a year of intense practice, Byron was given his first one-person showing in a coastal gallery. Many sold-out shows followed. The acceptance of his work by an enthusiastic public has been the most rewarding part of his art journey. 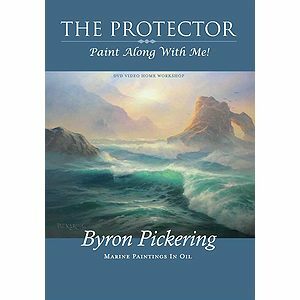 In 1981, he and his family opened "Pickering Studio," a gallery of art and antiques. Painting for the gallery and an annual series of workshops occupied the following thirteen years. In September 2000, Byron was honored as a recipient of one of the ten prestigious awards given at the Salon d'Automne International Art competition in Montreal, Canada.